Is your little girl a fan of mermaids? How about sparking pretty long hair mermaids? Well, my daughter is a huge mermaid fan, she just loves the magical, aspect of mermaids. And if your daughter is anything like my daughter I am sure she is a mermaid fan that will love the new line of Aurora World Sea Sparkles! Here is a little more information about the line. Aurora World Sea Sparkles line, shimmering and shining its way into 2013 with an expanded offering to include new styles and sizes of the popular mermaid dolls. The Sea Sparkles collection now includes new 10", 18", 38" mermaids plus four 27" mermaids. They come in small, medium, large and extra-large sizes; Prices range from $8-$70 . Each mermaid has long yarn hair and her dress is accented with a shiny jewel. The holiday-themed Merry Mermaids, "Joy" and "Noel," are beautifully dressed in holiday hats and rich, sparkly fabrics; makes a great seasonal gift. Sea Sparkles items are suitable for all ages. My daughter is growing up, I know she is not a toddler or my baby anymore. But I love that she is not too grown up not to love stuffed animals, she still appreciates and loves her dolls. So when I had the chance to review one of the new Aurora World Sea Sparkles, cute mermaids, I could not wait to share this with her. The line has a great variety of colored tails, and different eye and hair color. I choose Marissa for my daughter, because she had brown hair and brown eyes. I knew my daughter would appreciate a doll that looked like her. And as soon as she saw the mermaid, she loved her and yes she noticed right away that the doll looked like her, and this made her love it more. I loved the purple coloring and the shine, so pretty and girly. The yarn hair was a nice touch as well, it reminded me of the dolls I had when I was a child. My daughter loved the purple yarn “highlight” that was in the hair, it was a nice touch. This doll is well made and adorable, great for any little girl. If you are looking for a cute gift for that special little girl in your life, make sure to check out the Aurora World Sea Sparkles. If you are looking for a small gift, they have cute little mermaids that start at $8.00, to the extra-large giant mermaids that cost $70.00. You will be sure to find a great gift for that mermaid lover in your family. The generous folks at Aurora World are giving one of Susan’s Disney Family readers a chance to win a Sea Sparkles doll. Would you like to win? 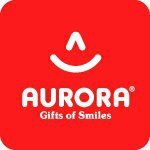 Please check out the Aurora World site, then come back here and tell me something you love from the site. There are also other ways to enter, please enter below. Aurora's Sea Sparkles can be purchased at retail or online at the official Aurora shop Aurora is offering free Shipping on orders over $50; use promo code: YooHoo13. Love the 9" SEA SPARKLES PET CARRIER - LAVEN. The mermaids are adorable, too! I like the Tamara Turtle-Large! I like the 9" SEA SPARKLES PET CARRIER - PINK! My niece would flip! I like their 18" MERIEL Doll and the 9" SEA SPARKLES PET CARRIER - LAVEN! Thanks so much for the fantastic giveaway! I like the 18" MERISSA Doll. I Love the marissa doll and the purple carrier! Thank you for the cute giveaway! we love the raggedy ann collection! 18" MERISSA my grandaughter would love this! she loves anything that has to do with mermaids! I like the 18" MERIEL, because my granddaughter has red hair. I love the 12" ROXIE THE DOXIE PLUSH PAL. We love the 18 inch Mariel doll, how sweet. Merrisa is so cute! My 5 year old would be so happy!